All bookings are subject to the terms and conditions found here. Please ensure you familiarise yourself with our t’s and c’s and if in doubt call our head office on 01462 431112 prior to booking. When you book a course you enter into a contract which is subject to certain conditions and restrictions outlined below. We assume by perusing our website and making a written or verbal approach to our academy you accept our terms and conditions found here. We offer Free Payment Plans – Course Fees can be split over 12months, no extra charge. We do ask for a payment agreement form to be signed to confirm you can afford the payments and will make them on the dates due. Where a delegate chooses our free payment plans we do ask for a direct debit or standing order to be set up for the payment term along with a signed payment agreement. We collect a 25% deposit and split your payments free of charge up to a maximum of 12 spread over 1 year. Upon booking we collect your 25% deposit plus 1 payment and then the rest monthly. Course certificates will not be issued until the delegate has completed their Payment Plan term in full. Where payments are not made in full on the date due we will issue 2 reminders and you will incur a 50GBP admin fee which will be added to your course statement. If payment is still not forthcoming we reserve the right to puruse the debt with appropriate third parties. We would always recomend you talk any financial problems through with us as we will offer as much support as se can within the terms of our terms of business. If in any doubt please call 01462431112 to discuss before committing to any financial commitments prior to committing to any of our programmes. Course prices were re issued on 1/3/19 and over ride any previous pricing structure or previous published pricing including early bird , bulk booking and full course prices. 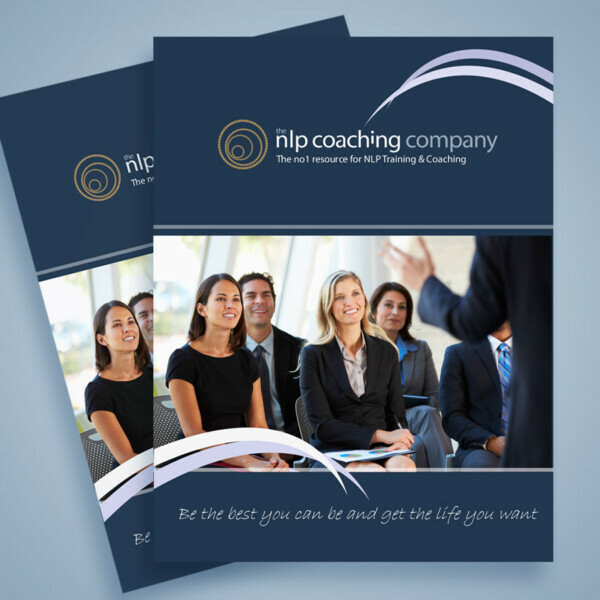 The NLP Coaching company reviews its prices regularly to ensure are courses offer value for money and are in line with competitors and market conditions. We reserve the right to alter prices at our own discretion. The NLP Coaching Co reserve the right to change course pricing with reference to course promotions and various early bird discounted periods. The price you will be asked to pay will be current at time of booking and may change post booking subject to availability. Once receipted your price is guaranteed and will not change. We run our courses from the following venues. NLP Practitioner – Our scheduled face to face courses last 6 days – 50 face to face training hours. The Hypnotherapy Professional Practitioner – 7 consecutive days – 70 hours face to face training, 110 hours correspondence study. The Hypnotherapy Bridge Foundation Diploma – 25 hours, 3 days face to face training. 60 hours pre course work. You can book direct from our website. In addition you can email us at or call our booking team on 01462431112. We will forward you our short course application form and payment agreement if you are paying using our free payment plan. Once completed and returned together with course payment or minimum of 25% deposit we will confirm your place on the course. You can also book direct on our website by pressing the “Buy Now” button which will automatically reserves your course place for a deposit of £450.00. We have an agreed room rate of £55.00 per night including a full breakfast with the course venue: The Sun Hotel, Hitchin. Please check this with the Sun Hotel prior to booking a room. Please call 01462 436411 to book a hotel room or email Sharon at . Your accommodation is not covered under these terms and conditions outside of our agreed delegate room rate. You are responsible for your behaviour during your stay at the Sun Hotel and you must settle any outstanding room bills prior to your departure. Any complaints from the hotel staff about any of our delegates will be investigated in full. If you mis behave during your stay you may be asked to leave the course and will not receive any refund of course fees if you leave due to your own behaviour. Payment in full must have been received by us as cleared funds 4 weeks prior to the commencement of the training course booked. Failure to do so will result in the refusal of delegate access to the training course booked. Company invoices rendered are for settlement within 30 days. The NLP Coaching Company retains the right to withdraw certification at any time after the course, if payment terms are not adhered to. The NLP Coaching Company’s refund policy follows the Consumer Contracts Information Regulation 2013 for cancellations. Where at least 6 months’ notice is given and a valid reason is given we offer a 100% refund less deposit paid. When at least 4 months’ notice is given with a valid reason we refund 50% minus deposit. Where 3 months or under is given no refund is given, this is done solely to protect remaining courses delegates as we teach in small groups and this allows us to continue with the course when students cancel last minute. We do not offer a refund policy on any of our online courses. For scheduled courses and training the NLP Coaching Company Ltd does not offer refunds once you have been confirmed on the course and have paid the deposit, however where appropriate we will make every effort to secure you a place on a future training course. To do this course fees must be paid in full and will be subject to a 150.00GBP course transfer fee. Where multi course parts and modules are booked at the same time the cancellation period begins on the first day of booking for the first course for all courses. Where you decide you wish to change your course training date we will aways try and accommodate your request subject to availability on your chosen course date and the course is running. It is not possible to change course dates within 8 weeks of course commencement. There is a £150.00 administration fee and we only allow 1 course date change per student. We will always do our very best to make up time during the week if students are late due to un foreseen weather conditions or illness or unable to travel. If students miss the entire course due to last minute illness or the inability to travel due to weather conditions we will book you onto another course free of charge and waive our course transference fee. You will be responsible for all cancellation and curtailment costs including hotel accommodation, additional travel costs, the rebooking of hotel rooms and travel arrangements. We will assist wherever possible and book you onto our next suitable course. If you are upgrading we will invoice you for any balance and this must be paid 4 weeks before new course commencement. In accordance with the law, you have a 7 day ‘cooling off period’ from the date you booked your course either verbally or in writing or booked online in which you have the right to cancel your purchase and receive a full refund. You do not need to give a reason for cancelling your purchase. We are obliged to refund your payment in full within 30 days of your notice of cancellation which must be made in writing. Should you wish to cancel your purchase within the 7 day ‘cooling off’ period, please call 01462431112 or email . Please note and familiarise yourself with our cancellation policy prior to booking and if any doubt speak to us before reservingbyour lace. The cooling off period begins on the day we enter into a contract with you and you formally request to book onto our course and reserve a place. Where there are disputes we will take the day we recieved written instructions from you to book you onto a face to face scheduled course or on our online life practice academy forum. We do our best to avoid unecessarry disputes so if any doubt please check with us first prior to booking onto a course. Once you have began training we are unable to offer any refund even if your first day of training is within the cooling off period. With any online courses we are unable to refund any course fees once you have been enrolled onto the course. This is the point when you receive emailed confirmation from our training deoartment you have paid your course fees and deposit and been enrolled onto your selected course. Where multi module courses are booked the cooling off period for all of the modules / parts of the course begins on the first day of booking the first course or module. Where multi course parts and modules are booked the cancellation period begins on the first day of booking for the first course for all courses. Advise you and offer you the training via 121 or small groups. Change the course venue to support the needs of 121 training or a small group. Your learning experience is our priority. We work on a strict trainer to student span of control / ratio of 1 to 8. Therefore course groups tend to be small and focused. Some other providers run large audiences of delegates and can deliver a stage / show style course. Ours is focused learning ensuring each delegate receives the appropriate level of course input and training. Optimum course numbers are between 8 and 12 students however course numbers can vary in size. As we teach in small groups and run monthly courses we always guarantee to run all our scheduled courses. Unlike other course providers that cancel courses when the courses are not full our courses will always run as planned, as so not to affect the learning and development plans of our delegates. Even if this means working 121 we will ensure we deliver on our promise. In these circumstances we reserve the right to change the course venue to our head offices, 200 yards from the Sun hotel, or The Hertfordshire Therapy Centre, Welwyn Garden City and allocate 1 trainer to the course. This enables all scheduled courses to always run as planned even with small numbers. We reserve the right to use any photos, video clips, testimonials, that are obtained upon the course. If you are unhappy about pictures or testimonials being used after the course simply let us know and we will respect your wishes. We will always check with you. To book onto our online courses you will need to either pay your fees in full or pay a 25% non refundable deposit. Depending where you live in the world you can access our online courses and make payment in UK GBP, USA American dollar and Europe payment in euros. Once you have paid your course fees in full you will gain access to your chosen course. Our online booking system ensures you automatically agree to our course terms and conditions at the point of booking onto any of our courses. Please ensure you are happy with our terms and conditions prior to booking onto any of our online courses. Any questions please discuss with Mark or Karen Shields prior to booking. We always recomend you have an emergency fund in place of at least 6 months salary before taking on any financial commitments especially for those students paying in installments via teachable. Please also ensure you read and understand teachables FAQS in full before booking a course, as they are unable to offer any refunds or payment holidays once you have enrolled. If you pay your course fees in full at the commencement of your course our terms and conditions will apply from the moment you pay your course fees in full and enter the course. If you choose to pay by instalments full course accreditation will only be granted once you have paid your course fees in full. Teachable offer a maximum of 6 monthly instalments free of charge. If you default against your payment plan the life practice academy reserve the right to withdraw your online learning platform. Where you do choose to pay by instalments we require a deposit of 25% and your first payment to grant course access. This deposit is non refundable. Part 2 of the course will be accessible once the second instalment is paid. We thoroughly recommend you complete a full personal financial health check and ensure you have at least 6 months salary as a reserve to act as an emergency fund should any unforeseen problems arise. We recomend you have this emergency fund in place prior to booking any course with us, especially for online and international students, as teachable do not offer a cancellation policy or payment holidays due to their payments terms being only 6 months. For international and students paying in instalments via teachable please ensure you have sufficient funds in place to take care of personal emergencies, redundancy and any unexpected financial burdens etc for at least 6 months as teachable do not offer any cancellation or payment breaks. If in any doubt please call us on 01462431112 to discuss prior to booking to avoid any unnecessary surprises. If you change your mind and decide you want to cancel your course after booking we will offer a full refund within 7 days of your original purchase. We do not offer any refunds where you have paid your course fees, the course has been accessed or you have commenced the program. We reserve the right to add modules to your selected course,post your enrolment but will always give you the option to include this in your existing course syllabus or not depending on your preference. We guarantee to write to you within 4 weeks of any changes. When booking online courses directly through teachable please note their FAQS and terms of business that will apply to your booking. You can download our course brochure from our website. We will ask you to register your email address however phone numbers are optional as we will only call you if you give us permission. We firmly believe NLP skills need ongoing maintenance so therefore are proud to offer all delegates the option of becoming a Life Practice Life Partner. This means you can attend future NLP Practitioner Courses as our guest, once you have successfully attended and passed our NLP Practitioner Course “Get the life you want” or our Integrated NLP, Hypnotherapy and Coaching Diploma. This is subject to availability and space, first time paying delegates will always take priority. The same applies to delegates joining us from our online academy. We offer an Early Bird Course Price on all our courses. To qualify you need to pay the Early Bird price in full at least 100 days prior to the course start date. From time to time at the company’s discretion the Early Bird offer may be extended to some promotional campaigns or partnerships. We supply refreshments in the way of tea, coffee during our mid-afternoon break. Water is available throughout the day. Lunch is excluded. We expect delegates to behave professionally when attending any of our courses. Complaints from hotel staff or fellow delegates will be investigated and may result in you being asked to leave the course. In these circumstances no refund of course fees will be given. If you also decide to leave during a course we are unable to offer any refund of course fees. If you are experiencing difficulty whilst attending the course please speak to one of the course trainers who will be happy to help. It is the delegates responsibility to complete all pre course work and be in a position to take part in course role plays, skill sets, skill evaluation and class discussions. If the delegate chooses not to contribute to in class activities, or is absent, or late for classes the NLP Coaching Company cannot be held responsible for any detrimental impact on individual student learning outcomes. It is the sole responsibility of the delegate to book and settle all hotel bills and personal expenses and refreshments before checking out. In order to make sure the course is right for the delegate, we offer a free face to face pre-training course consultation with Mark Shields, the lead trainer so you can ask any questions. We are always available to discuss any aspects of your training and pre-course work, please call us on 01462 431112 or email to set up a call. Sharing of personal information and on course exercises and coaching sessions. You will have the opportunity to take part in on course exercises and practice of the techniques taught on the course. Please make sure you are happy to share information and if in any doubt about what to volunteer for check with our trainers. Please ensure you only volunteer for practice sessions and on course demonstrations if you are happy to. Our trainers where time allows may work with you 121 at your request. The nature of our work includes hypnotherapy and NLP where fast and rapid change can be achieved. Rapid change can provoke emotional instability and leave students feeling volatile and unstable for a period of time following the session. This is also common when working with clients using clinical hypnosis and NLP. Please only request 121 work or for practice sessions after you have considered the outcomes and consequences seriously. The NLP Coaching company assumes no responsibility in these circumstances. We are accredited trainers for The British Association of Therapeutic Hypnotherapists and NLP Practitioners. If you feel the need to complain please contact Lesley Barker at www.bathh.co.uk We would always ask you approach us first as we will try our very best to resolve your complaint to your satisfaction. As of 1/1/16 we have been trading for 10 years and pride ourselves on being complaint free. The Life Practice Group and NLP Coaching Company are trainer members of The British Association of Therapeutic Hypnotherapists and The General Hypnotherapy Register for Hypnotherapists and NLP Professionals. In addition the Association of NLP will allow students to join their membership body from our course as practising professional NLP Professionals. This is because our course meets their criteria for face to face training hours. You will be emailed your pre course work, course manuals, workbooks, course maps, course handouts and course videos upon booking and the full completion of a course application form. It is your sole responsibility to complete your course work in full prior to your attendance. We offer a free pre course 121 to all our students. If you are in any doubt about pre course requirements please raise at your pre course 121, call us on 01462431112 or email us at . If you fail to complete your course work and this impacts on other students you may be asked to leave the course. In these circumstances you will not receive any refund of course fees. We may try and book you on another course to give you more time to complete the pre course work and requirements however each case will taken on its merits.